The full-metallic ring type joint gaskets - also knows as RTJ, are used predominantly in scopes of application with high temperatures (to 1000°C) and extreme pressures (till 1300 bar). Ring type joint gaskets are used primarily in the oil-processing industry (refinery, petrochemistry) and in the energy area. Ring type joint gaskets are made in the standard-profile types oval and octagonal from all commom materials. Special versions (e.g., with compensation hole or protective cap) as well as special dimensions are available on request. 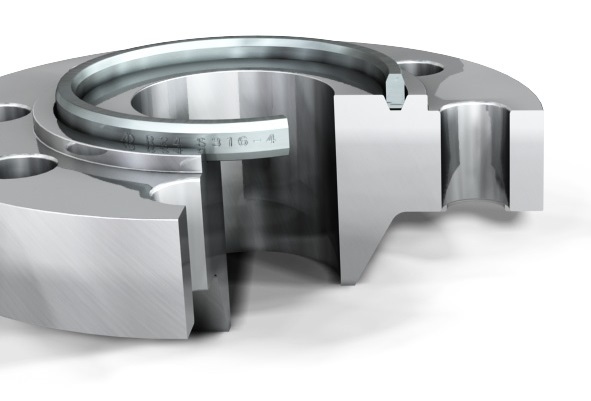 Due to the high degree of precision in the production of our ring joint gaskets, it is possible that temperatures of up to 1,000 В°C as well as a total pressure of approximately 1,300 bar can be withstood. The strict API standards are thereby of course always met and often exceeded.Our ring joint gaskets are among the worlds m..